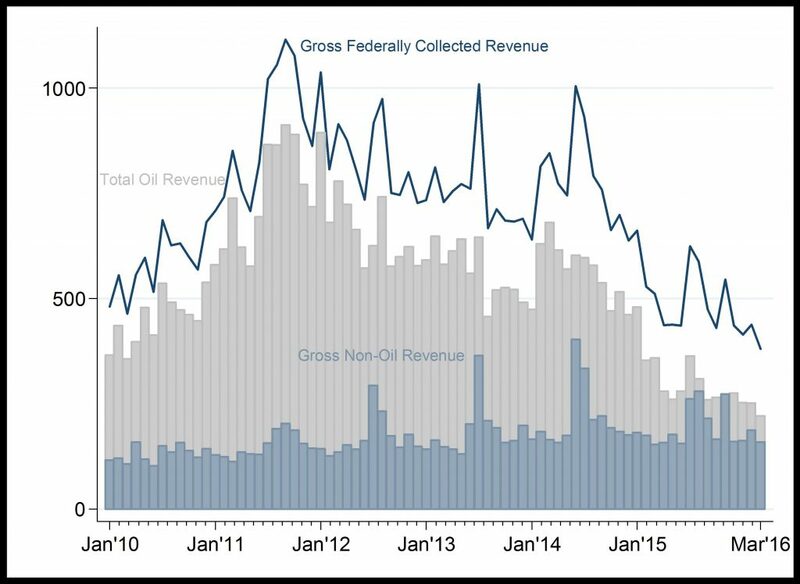 Gross Federally Collected Revenue: Both oil and non-oil components of gross federal revenue fell below N40 billion in 2016, after recording a peak of N90 billion in 2013. The decline was most prominent in oil revenue sources due to low oil price and production shortages. 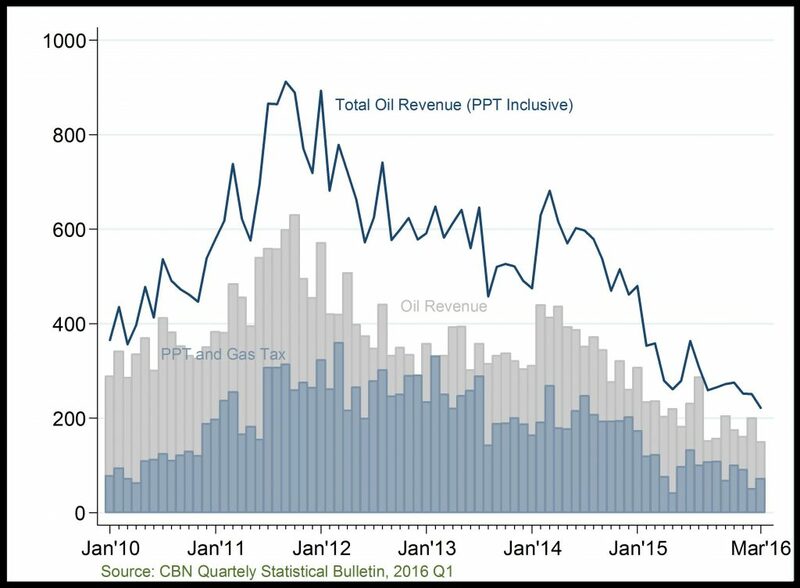 On the other hand, non-oil revenue has attained an increasing one-year peak in second half of every year since 2011; reaching nearly to N400 billion by 2014. However, non-oil revenue declined to a trough of less than N200 billion in the latter end of 2015H1 and 2016Q1 due to present challenges in the business environment.